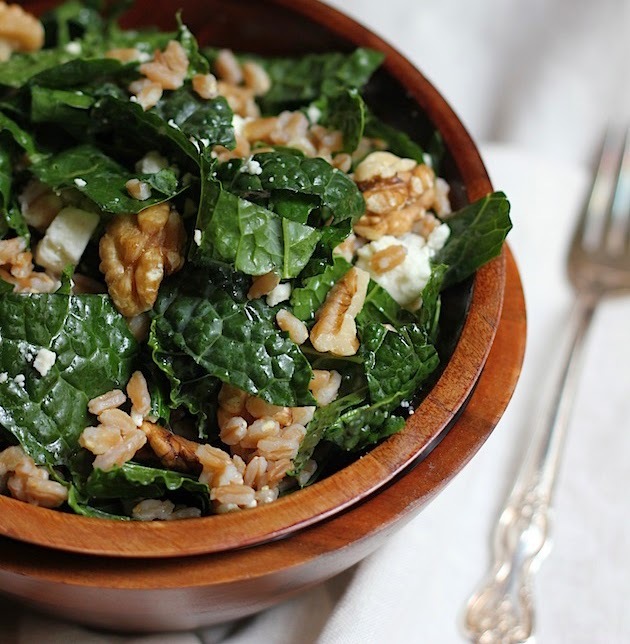 Add the kale, farro, feta, zest and lemon juice, and olive oil to a large bowl. Toss with a large spoon or tongs to combine. Taste and add kosher salt and freshly ground black pepper to taste until seasoned for your taste. - Cook the farro according to its package instructions. I've learned that I can't go by general instructions. You can buy "pearled" or "semi-pearled" farro. 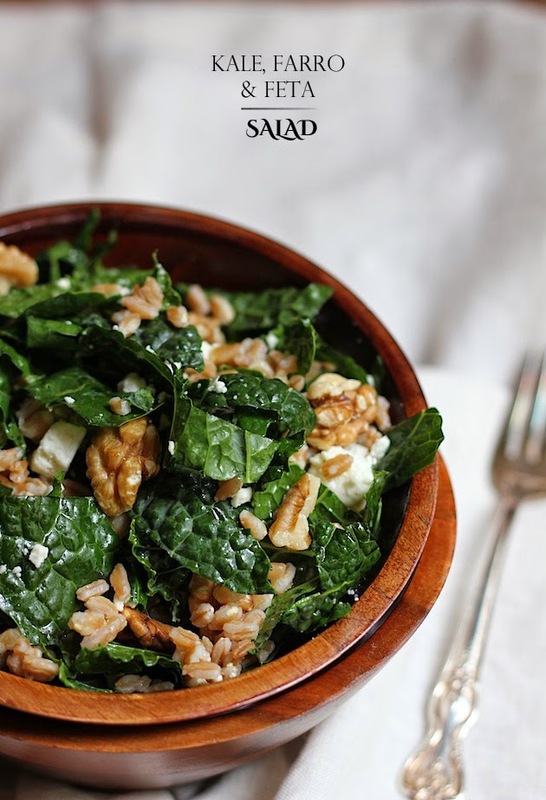 The semi-pearled farro is best as it is the least processed and richer in fiber. It also takes a little longer to cook than pearled farro. 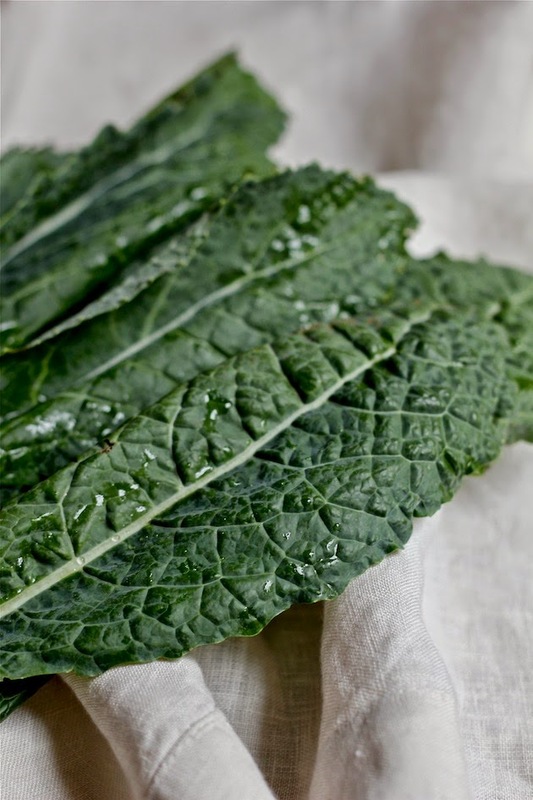 - I chop my kale by first removing the stems. I then stack the leaves one on top of the other and tightly roll them up into one roll. I then cut the roll into thin strips. Love a good Kale salad. Your photos are amazing. Loving this salad. I guess I have arrived at that point in my life too because I'm seriously addicted to kale!!!! Beautiful pics.